If you hear a voice within you say "you cannot paint," then by all means paint, and that voice will be silenced. Vincent Van Gogh. Only in our dreams are we free. The rest of the time we need wages. Terry Pratchett. Created with by the fine folks at the Cat Haus! 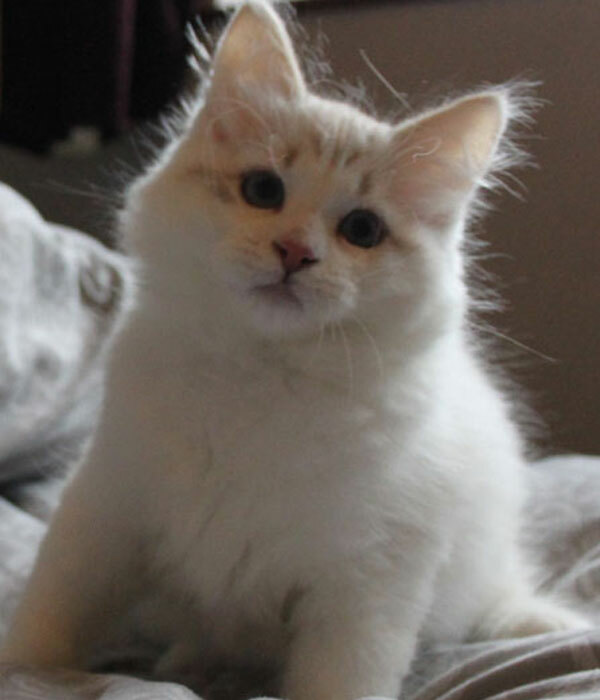 "On the 16th of September 1989 a group of breeders from Leningrad and Moscow applied for the registration of the Siberian Cat to the SFF, established in April of the same year. The breed is registered on August 6, 1990 (Certificate number 1). 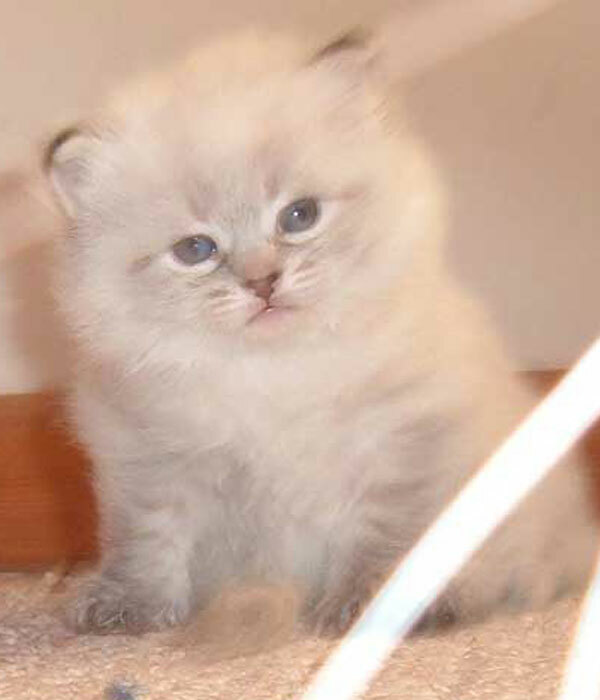 At the same time the colourpoint Siberian Cat is registered as a unique color variety of the Siberian with a second name "Neva Masquerade" (Certificate number 2). 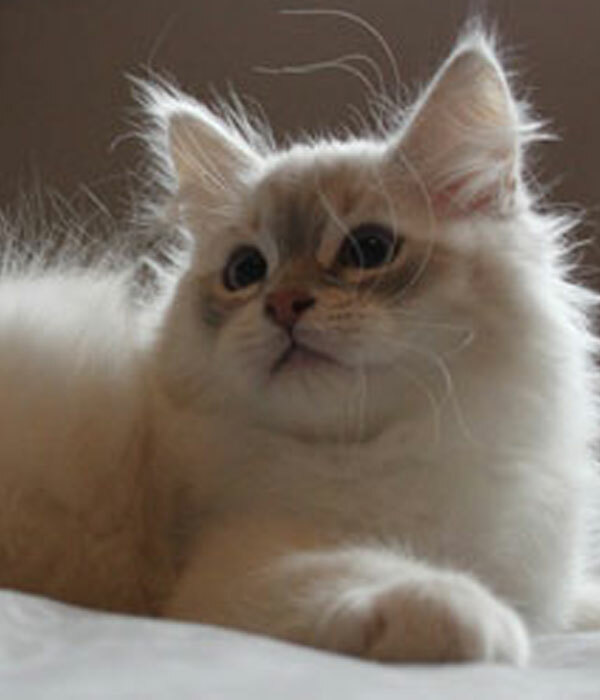 Now the show catalogues of the clubs cooperating with SFF should include the Siberian Cats in the semi-longhair section with a separate group of colors "Siberian Colourpoint (Neva Masquerade)". Dr. Irina Sadovnikova, WCF Int. All Breed Judge 2008. 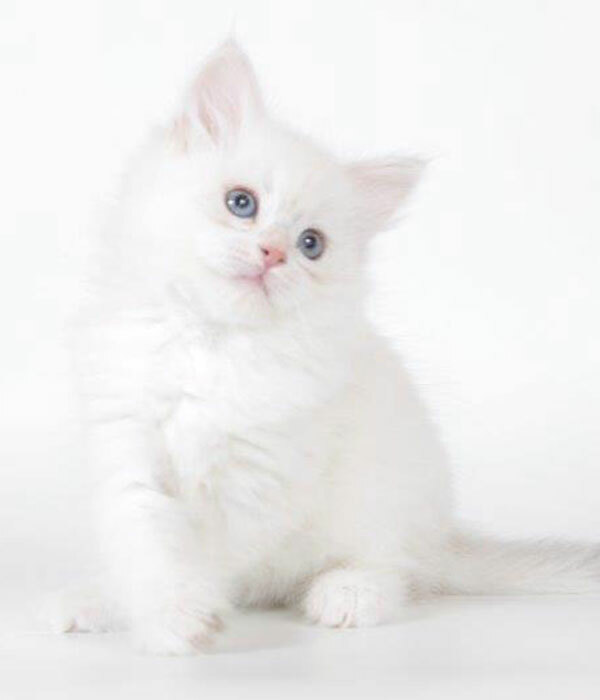 We are pleased to announce that Witchfyre Athelstan, blue golden with white, and Goldenesima Calista, golden point, became proud parents of six fluffy clouds on October 17th 2018. Our next Nevamasquerade Siberian kittens are planned for Autumn 2019. If you are interested in a kitten, please contact us using our contact form here . 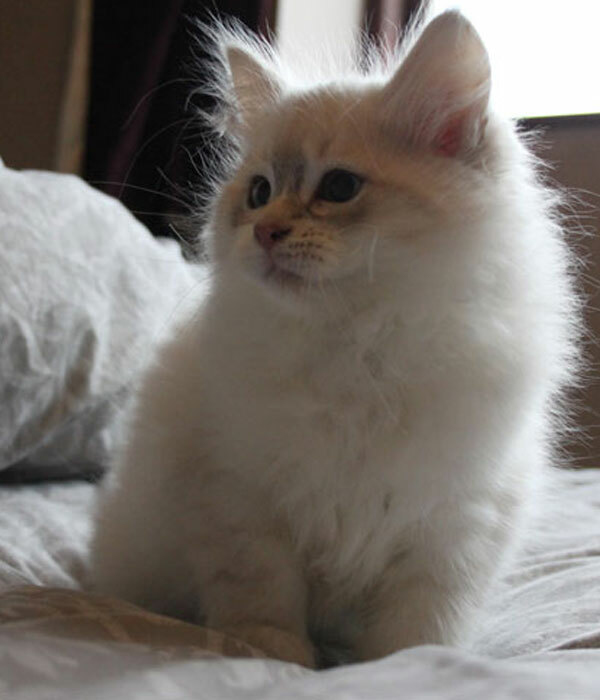 Golden tabby point with white. Stays in cattery. 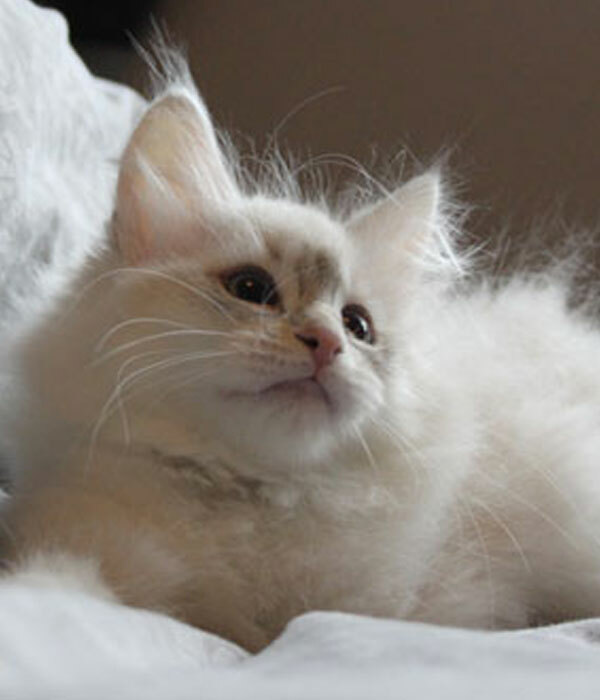 Blue Golden tabby point with white. Adopted. Golden with white tabby point. Stays in cattery. 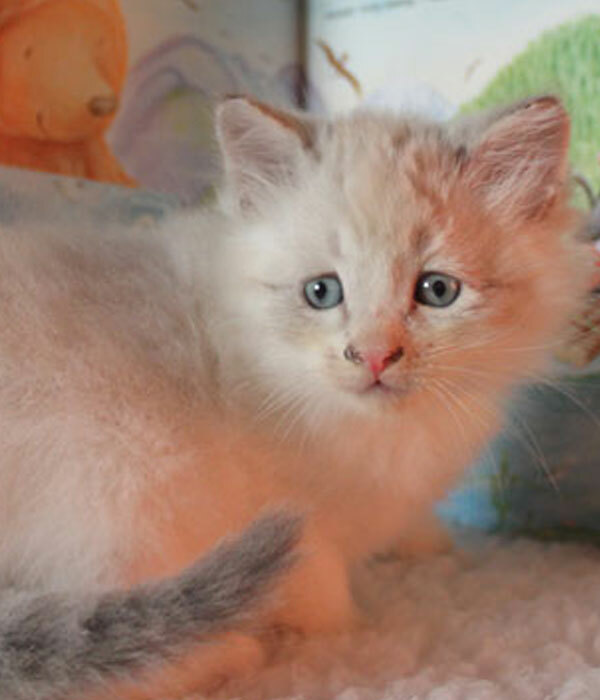 Blue-golden tabby point with white. Adopted. 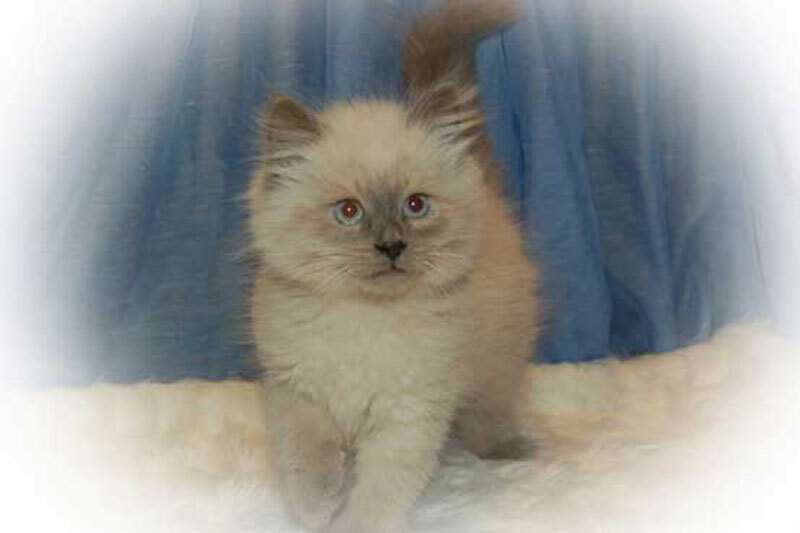 Blue tabby point bi colour. Gone to live with Lyssa & Joe. This is Calista as a kitten, she is the mother of the kittens. Isn't she beautiful? This is Athelstan as a kitten, he is the dad of the kittens. Isn't he cute? Enjoy some pictures of our past kittens. 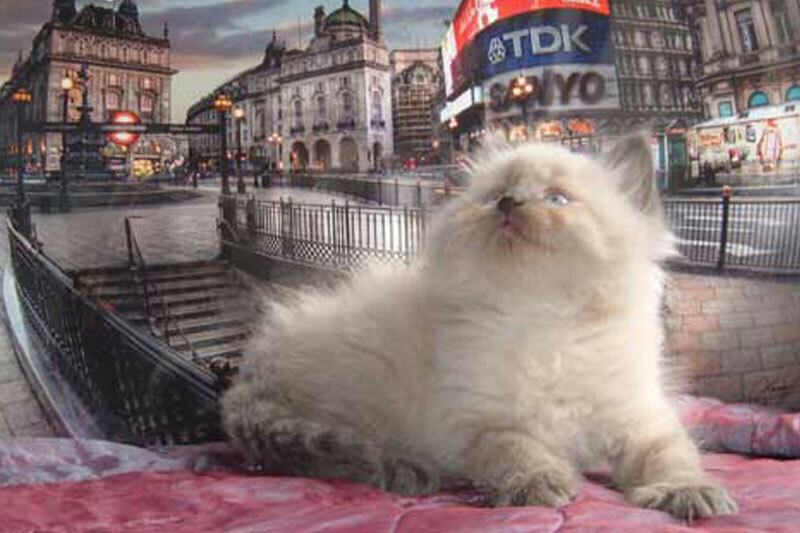 Aria was our second Neva Masquerade [colourpoint Siberian]to be born at Witchfyre. Her legacy remains to this day through Boudica and Int CH Witchfyre Lunar Wolf. 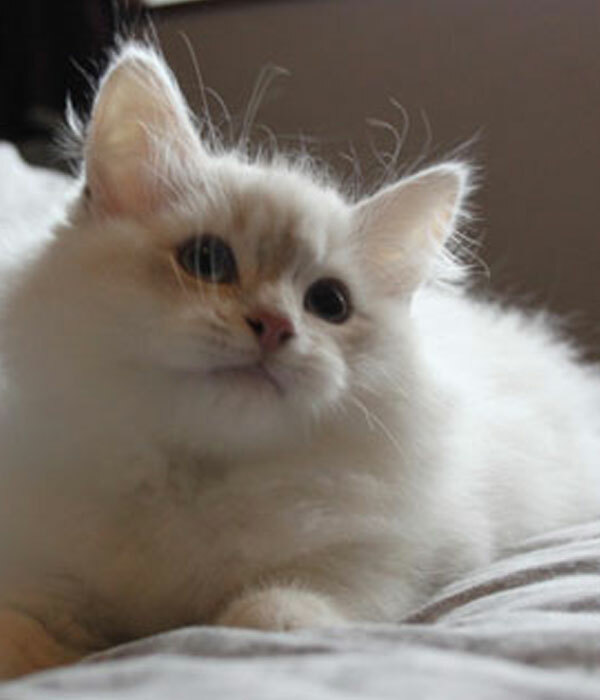 Elijah was loaned to another cattery where he sired a number of fabulous kittens. 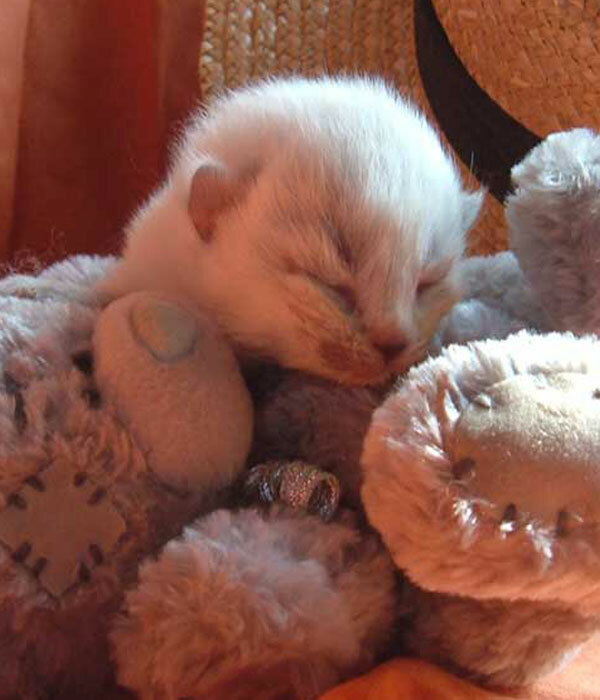 A week old kitten. All Neva Masquerade kittens are born white; as they get older the colour develops on their ears, paws and tail. Lulu is a blue tabby Siberian; she came to us as an adult from a cattery owner who had retired. 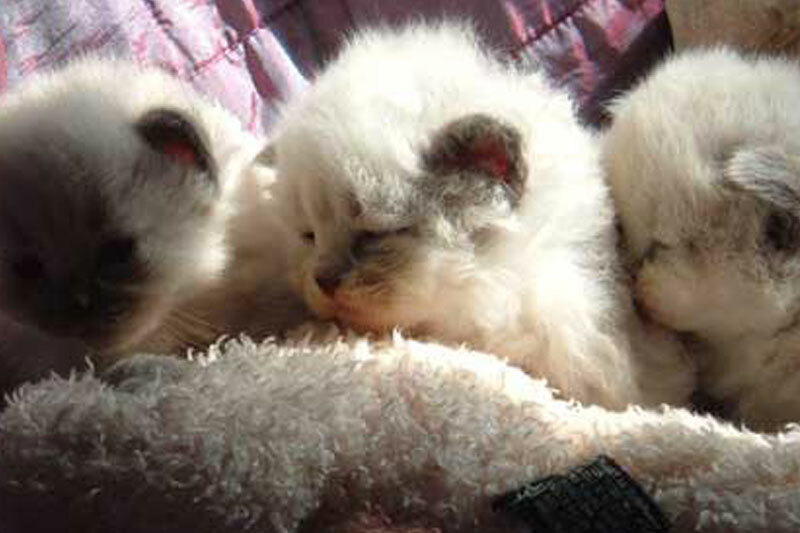 She produced us some fabulously fluffy felines!" 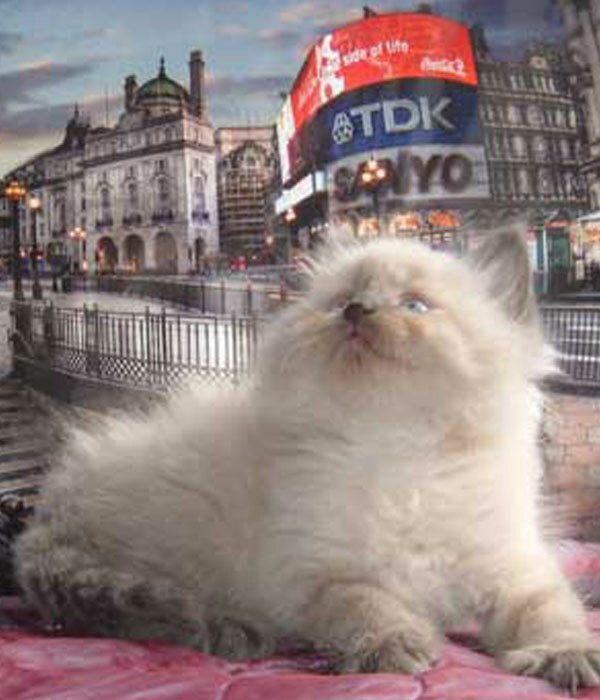 Catch up with all the news, articles and kitten plans. 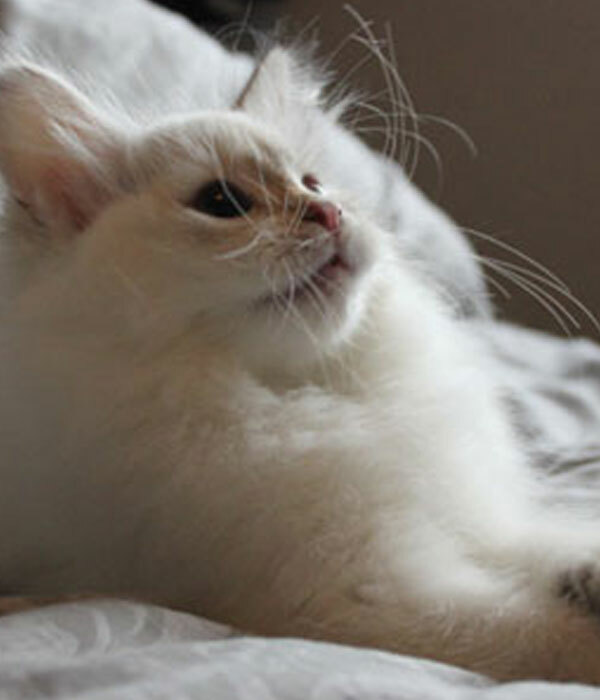 Welcome to our website where you will find news and information about our Neva Masquerade Siberian Cats at Witchstorm, kittens planned and available, and updates on our cats. 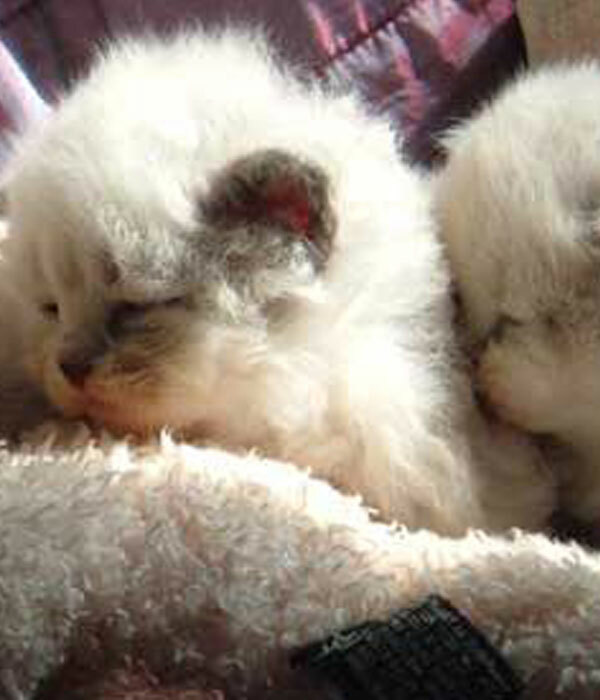 Calista and Athelstan's kittens arrived October 17th 2018. Take a look at our brand new outdoor cat garden. And shoot on high the reedy minarets. Copyright 2018 Witchstorm and Witchfyre Cattery. All Rights Reserved.